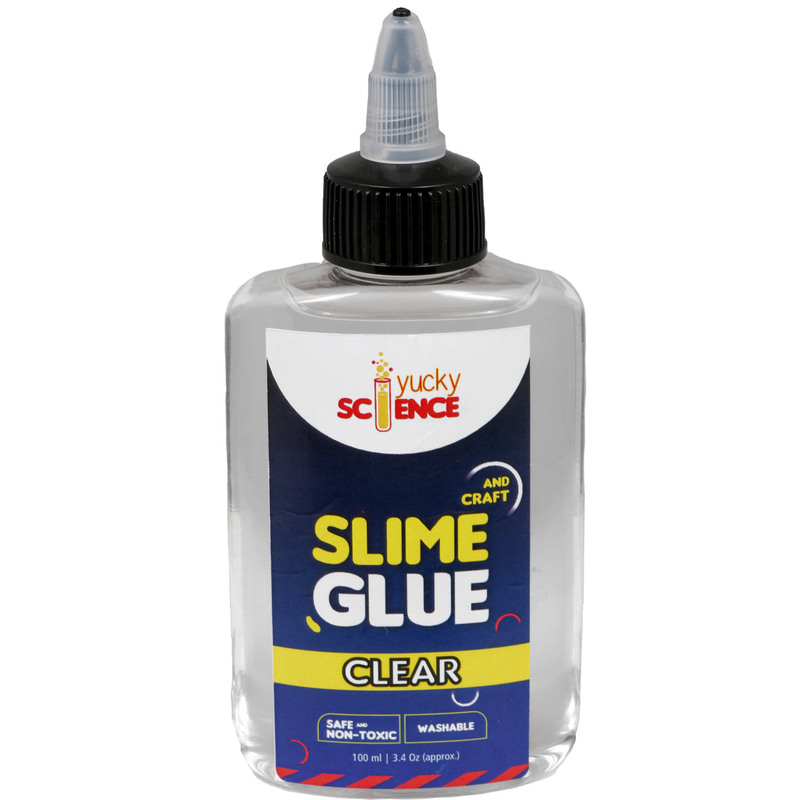 Yucky Science Clear Glue is Perfect for Slime Making, Craft Activities, Paper , Cloth and School Projects. Each Bottle makes approximately 4 batches of Slime. 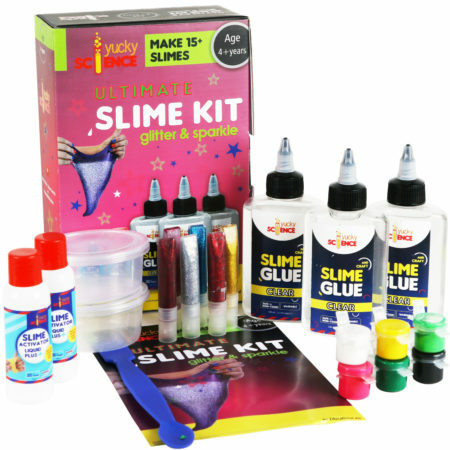 The clear glue allows you to add all kinds of fun things in the slime like glitter, sequins, you name it! 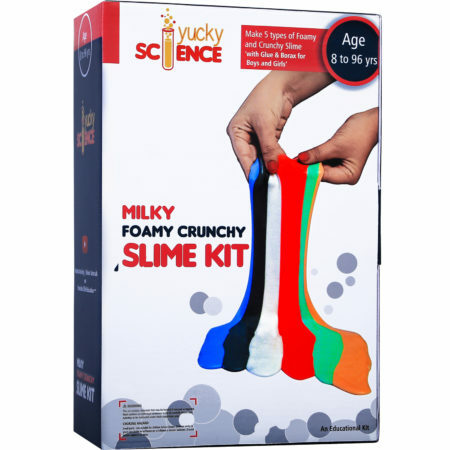 Add any color food coloring you want to this to have the perfect color slime every time. The Color is Clear and can be used to make Clear Slime, Glitter Slime, Galaxy Slime, Marmaid Slime, Colored Slime. 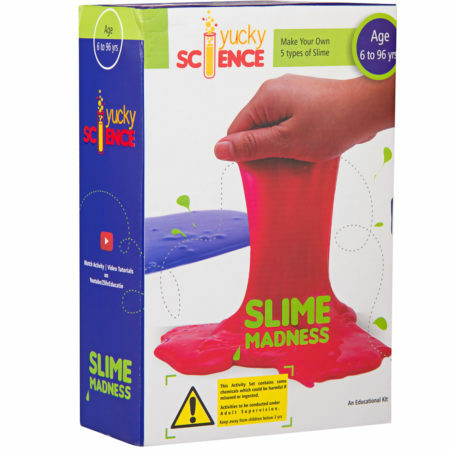 There 2 Recipes to make Slime 1) Using Yucky Science Slime Activator Liquid Plus OR 2)Contact Lens + Baking Soda. Safe, Non-Toxic, and Washable – Conforms to EU 71-3 Safety norms for Children.For Age 3 years and Above. 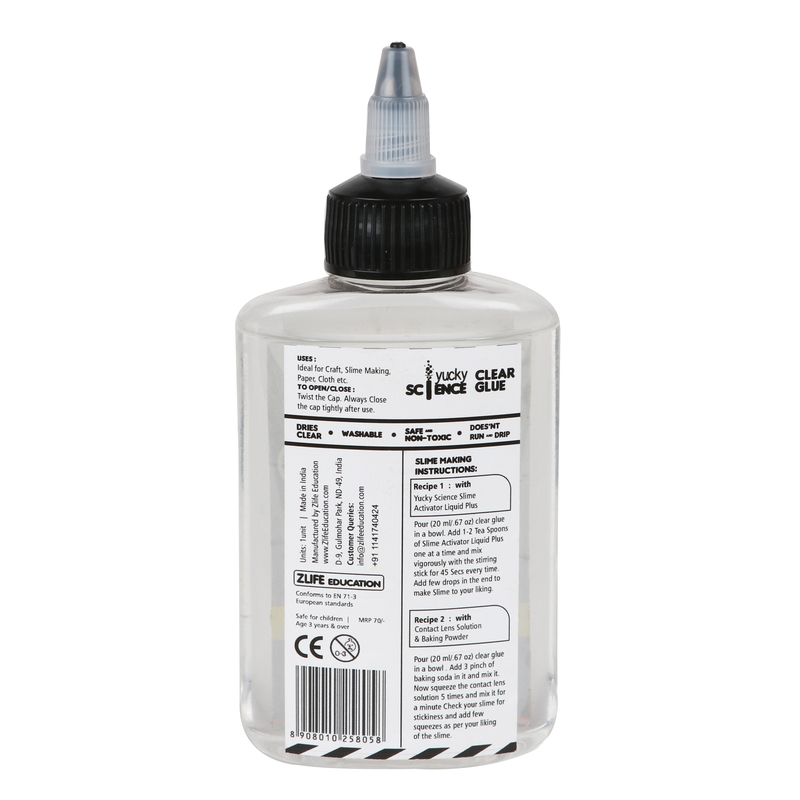 Yucky Science Clear Glue for Slime making, Craft activities, School Projects, Paper, Cloth etc. Each Bottle makes approximately 4 batches of Slime. The clear glue allows you to add all kinds of fun things in the slime like glitter, sequins, you name it! 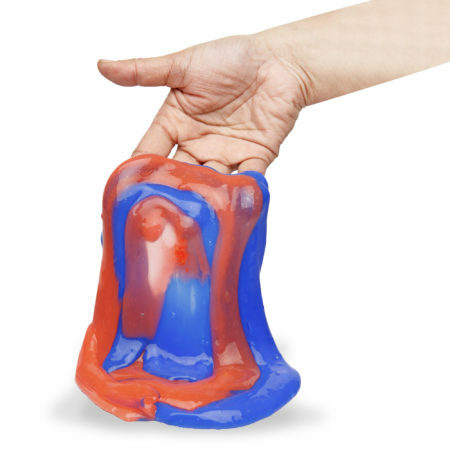 Add any color food coloring you want to this to have the perfect color slime every time. 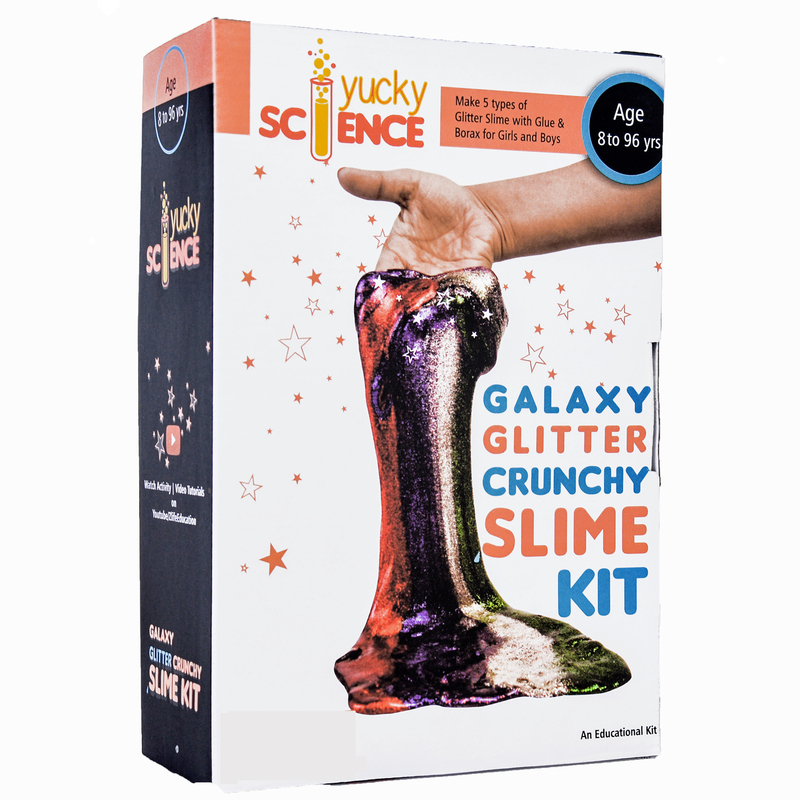 Recipe 1 for Slime Making using Yucky Science Slime Activator Liquid Plus – Pour (20 ml/.67 oz) clearglue in a bowl. Add 1-2 Tea Spoons of Slime Activator Liquid Plus one at a time and mix vigorously with the stirring stick for 45 Secs every time. 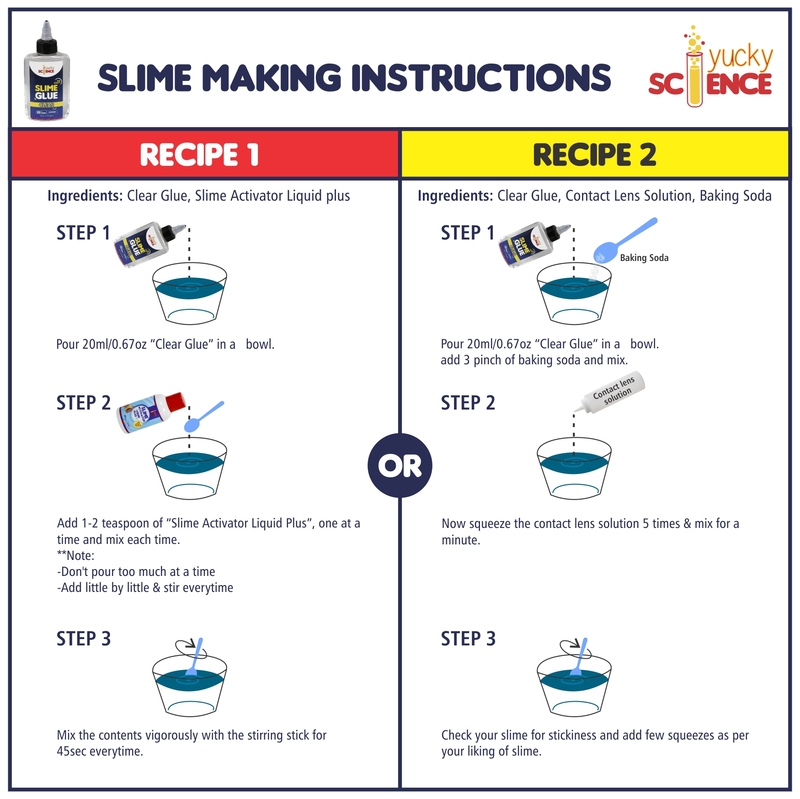 Add few drops in the end to make Slime to your liking. Recipe 2 for Slime making Contact Lens Solution & Baking Powder Pour (20 ml/.67 oz) clearglue in a bowl . Add 3 pinch of baking soda in it and mix it. Now squeeze the contact lens solution 5 times and mix it for a minute Check your slime for stickiness and add few squeezes as per your liking of the slime. 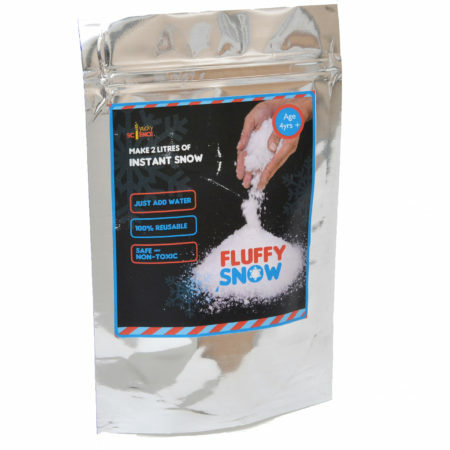 Safe, Non-Toxic, Washable, Dries Clear, Doesn’t Run or drip – Conforms to EU 71-3 Safety norms for Children. For Age 3 years and Above.